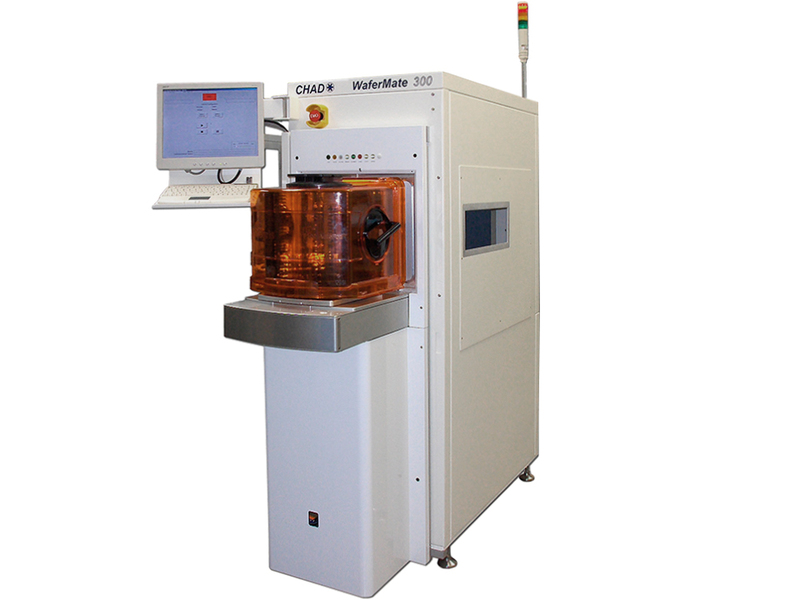 The WaferMate300 Series EFEM is a highly configurable wafer and substrate-handling platform that is primarily designed to handle Semi standard 300mm wafers, but can also be configured to accommodate a wide range of other wafer sizes and substrate types. The WaferMate300 is certified to meet CE, S2, and S8 requirements and is designed to meet ISO Class 2, with optional class 1 cleanliness levels. The WaferMate300 can be designed to accommodate up to four (4) BOLTS compatible loadports and single or dual end-effector robots. EFEM cell control and communication with the customer’s equipment host is streamlined via CHAD’s WaferWare software. 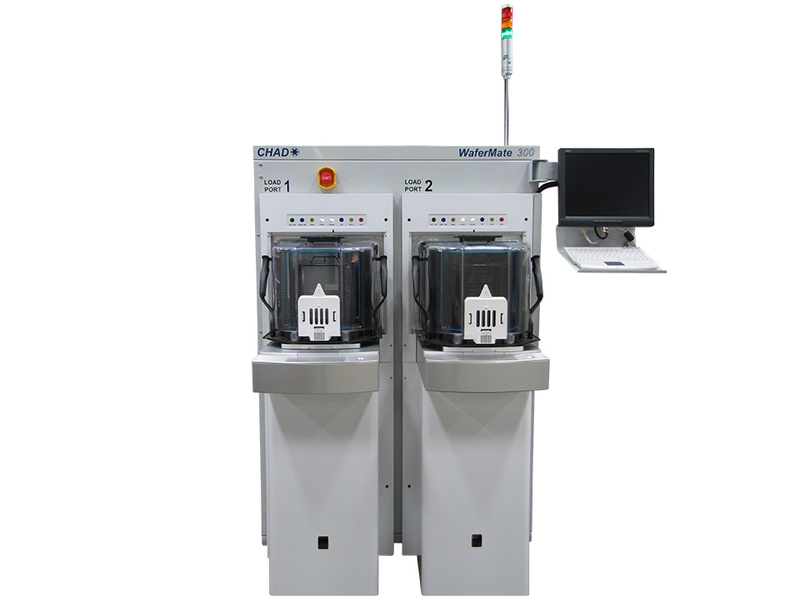 The WaferMate300 Series is primarily designed to accommodate 200mm and 300mm wafers, but it can also be configured to handle smaller wafer sizes and multiple wafer sizes at the same time without mechanical changeover. It can also be configured to handle “non-standard” wafer types including thin, warped, double-sided, and rectangular substrates. The WaferMate300 Series can accommodate any BOLTS compatible loadport. The standard WaferMate offering for 300mm FOUP Pod door openers is the loadport made by TDK. • ReticlesThe EFEM generally handles wafers warped to 1% of diameter without special consideration. Up to 5% warpage has been handled with appropriate tooling. Review of actual wafer samples is required in order to determine the appropriate tooling modifications. Notch, flat, multiple notches and flats, no notches or flats can all be accommodated on the system.